This has been our tastiest winter yet, especially when you consider the vegetables we're still eating fresh. Brussels sprouts have been a major boon, especially because they're tall enough that I can harvest the little heads through a deep snow. We didn't grow nearly enough, with only one bed in full production and three beds finally starting to bear from their shadier spot in the front garden. Next year, we'll put more plants in the sun as this variety moves off our experimental list and onto our list of mainstays. That's it for the crops we're still harvesting out of the garden, except for bits of Egyptian onions, thyme, parsley, and celery. But our other stores are also doing admirably. The queen has been carrots, which have held up perfectly in the fridge root cellar (where they returned after a week on the kitchen floor covered by a towel during the coldest spell in January). We've eaten fresh carrots, carroty soups, given away bagsful, and still have plenty to carry us through until the spring crop. If anything, we could probably get away with planting a little less than six beds next year, but we'll probably hold steady. We haven't eaten as many butternuts as in previous years because we mostly consume them in butternut pies, which depend on good eggs, and we've started eating eggs for breakfast, so we're perennially short. The stems are beginning to go a bit hollow and imperfect squashes are starting to rot, so I'm roasting up the many we have remaining to go in the freezer. I'd say we should grow many fewer butternuts next year, but if we increase our egg supply, that might not be true, and chickens adore the seeds. 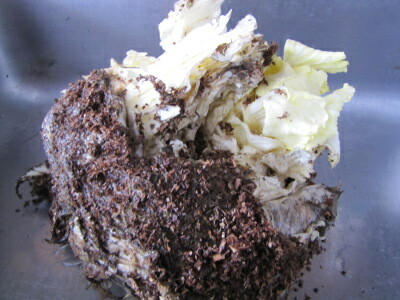 We ate the last cabbage out of the fridge root cellar last week, and it wasn't a pretty sight. I suspect cabbages would like it just a hair warmer than carrots, or perhaps they just don't have as much keeping power, because the last cabbage split open and started to grow a new head from the crack. We'll grow the same amount this year because I clearly haven't entirely got a handle on the crop, but I suspect we may scale up at a later date. Of course, we've still got garlic and sprouting beans and white potatoes (the last of which we hardly eat), though we're a bit low on sweet potatoes (due to this recipe increasing our consumption). And then there's the contents of the freezer, which seem to be holding up very well despite us eating soup about once a day. While I won't mind fresh asparagus at all once April rolls around, I don't think we'll be craving it quite as hard as we have in the past. Very nice post as usual :). I wonder how many pounds of the various things you stored are needed to make it through? Without any real data, I concluded that 1 pound per person per day was about right? But I didn't address how much of which veggies and other stuff. I really gotta get setup to duplicate your greens under hoops. Sounds simple and effective. Maybe a page describing and duplicating it for simple folks like me :)? I would get into measuring yours and Marks hair trace mineral content to keep yourselves balanced (TraceElements.com) and others. Some copper and silver and some others are important for long term health. Your Brussels sprouts and kale I hope to copy for next winter! (So I need to write up when to plant, etc in my planner!) I forgot you ahvae celery?? Joey's parsley in a concrete planter is still happy (under it's roof of snow on the front porch!) I wish I'd tried the French wintering of dandelions in the basement!! I still have Swiss chard (under snow--I wonder if they really grow that in Switzerland?) more on my own btoccoli later on! John --- I don't really weigh things, since I find it much easier to measure by how many beds I plant. The one time I weighed my carrots, I got 27 pounds from two beds, which means we probably went into winter with about 81 pounds this year, or about 10 pounds per month for the winter carrot-eating season. Between Weekend Homesteader: October and Weekend Homesteader: July, I pretty much tell everything I've got about using quick hoops. If you want to go into more depth, I recommend Eliot Coleman's Winter Harvest Handbook. Either way, I highly recommend giving it a try --- it's amazing to have homegrown, fresh produce all winter. Mom --- I have down on my calendar to start Brussels sprouts in flats a little earlier this year --- June 22 --- then plant them out in the middle of July. I stagger my kale plantings since every year is a little different and they're best when just barely mature, so I plant some August 7, some August 14, and the last August 26. I plant most of my other greens August 7, then plant mustard on September 9. We've got two little cutting-celery plants leftover from this past spring. They still produce a little bit, but probably won't be repeated because I considered them more trouble than they were worth. Anna, Have you ever thought of doing a naturally fermented sauerkraut as a way to preserve your cabbages? Its nothing like what you might have had from the store, is super, super easy, and will stay good for just about ever. It is also extremely good for you, being one of the most powerful probiotics out there. And you already have everything you need to make it. Cabbages, salt, and some big canning jars. Takes about 15 min. to make, and about 3-4 days to ferment, and then its done! Crispy, crunchy goodness. 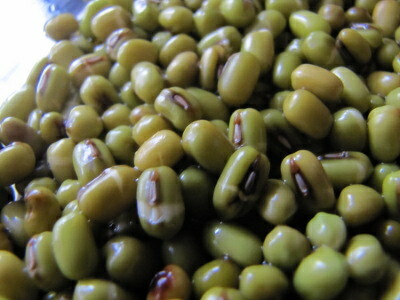 We eat it as a side dish- its that good. If anyone is interested, i am happy to give directions. One average cabbage fits in a quart jar- so you dont have to make large batches. Just being curious... How much of your yearly food needs are you getting from your garden? I know you are not vegan. Do the deer and chickens fill your protein needs? If you don't like the taste of kraut you can still preserve it this way, rinse and soak in cold water before adding to your soup. Works pretty well for my husband who doesn't like the sour and who needs a lower salt diet. He's okay with the tang that comes this way. It goes nice in a beef soup like barley mushroom beef. I've not figured out the storage space for carrots the way you have, instead I've taken to drying them, a lot! Much less space and still fairly good nutrition, but really only usable in soups and carrot cake. 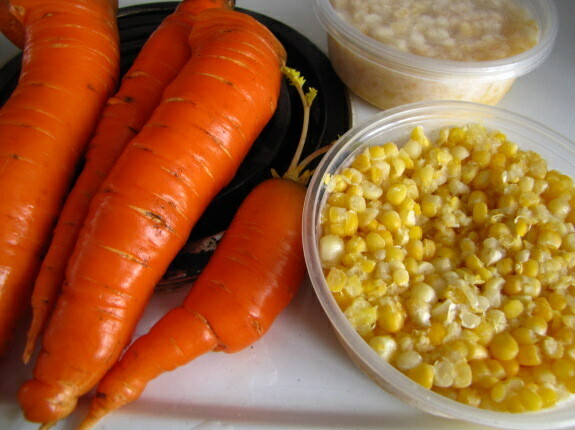 I'm hoping to carve out a spot for carrots for roasted root veggie dinners, which need fresh root veggies for sure. 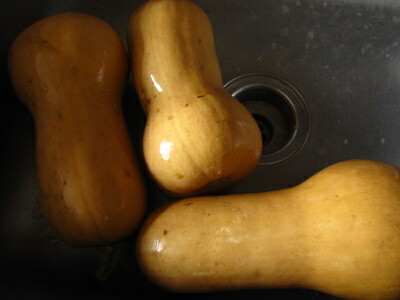 Squash - I recommend squash cinnamon rolls (the friend with an autistic son is thrilled whenever I bring these as he will eat them and he won't eat much of anything, in general), squash gnocchi, and squash coconut curry to use up the butternuts. The first two require eggs but not in the amounts a pie would need. The last is egg-free. You can buy cans of coconut milk or just coconut milk powder. I get that from my local Indian store, or amazon if needed. It mixes up in hot water surprisingly well and doesn't have the yuck factor that I expected from "reconstituted milk" of any sort. I know that is an imported good but the powder goes a long way and makes a nice creamy curry. I'm tempted to try that with a few other root veggies thrown in for good measure. recipes, as usual, available via google. Seasonings are your choice between the MANY versions out there. Enjoy your bounty. We're all jealous. Gerry --- We grow 95% of our vegetables (with the other 5% being onions --- hopefully we'll close that gap this year --- and avocados, which I adore and will probably keep buying). At the moment, I'd say we only grow 10% of our fruit, but hopefully more of our fruit trees will get old enough to bear in the next few years --- we should be at 100% fruit before too long. We grow all of our own chicken, and about 80% of our own eggs. (These girls aren't laying as well as I'd like in the winter --- I plan to add some hybrid stock this year in hopes of fixing that problem.) Deer make up only a small amount of our red meat, most of which instead comes from pastured lamb we buy from a friend. Perhaps 20% comes (embarassingly) from factory-farmed sources in the grocery store. C, That's definitely worth considering. But I really like my cabbage fresh! So I either need to learn to like it fermented, or better my storage system. You have me wanting to try brussel sprouts--- I can't believe it! Just wondering about leaving your cabbages under quick hoops too? Mine (var. Stonehead and a couple others) seem to be holding fine under hoops: zone 6B, transplanted in Sept, numerous nights in low 20s, most days above freezing, little snow or rain and I didn't bother to root prune. We ate one last week and it was beautifully firm if a bit ragged on the outer leaves. Carrots are in ground under hoops too. What I'd like to have is winter salad! Both my Rouge d'HIver lettuce and arugula died in the frost months ago, though spinach under hoops is beautiful and cilantro and parsley in the open are just fine. C, I'm all for that reclassification! I'd love to say we grow all of our own vegetables. Sweetgum --- Fascinating solution! I'm not sure if it would feel worth it to "waste" quick hoops space on overwintering cabbages, but since we've got some covering kale we haven't even gotten to yet, that might be worth trying.... I think you've changed my quick hoop plans for the fall.